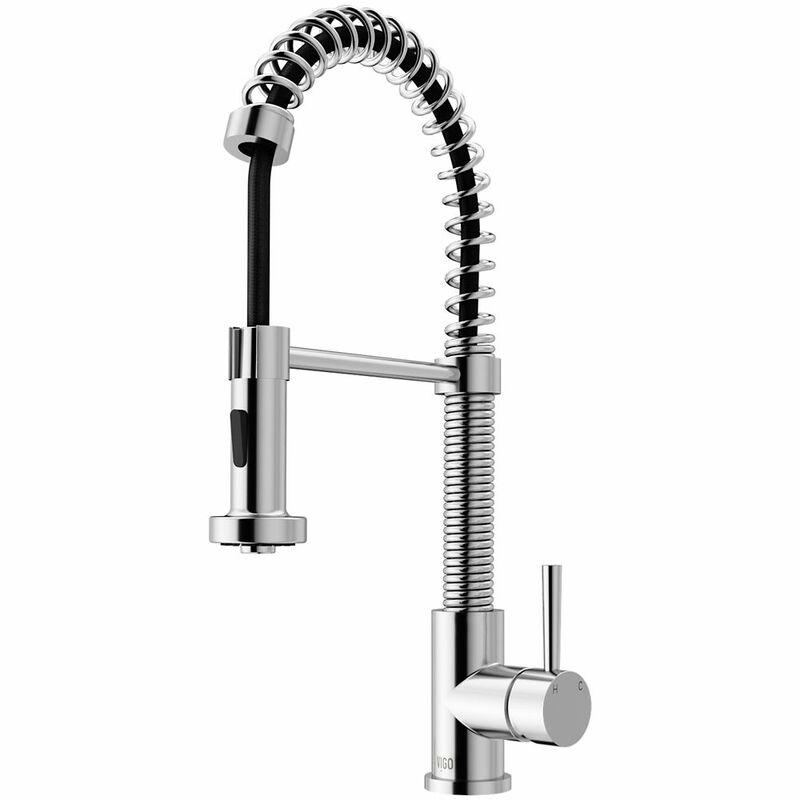 Edison Pull-Down Spray Kitchen Faucet in Chrome is rated 4.6 out of 5 by 1191. Rated 5 out of 5 by Kimboslice from Beautiful Accent in our Kitchen! We bough this a little over 2 months ago and it is stunning, heavy duty, and makes a accent in our kitchen. We highly recommend this product! Can a replacement faucet handle be ordered through Vigo? Yes. Just email customer service or give them a call. They replaced mine for me after the spray selector button stopped working. Does this VG02001CH include a deck plate to cover unused holes in the sink / counter top? No, this kit doesn't come with the deck plate. The following model # includes the deck plate: Model # VG02001CHK1.